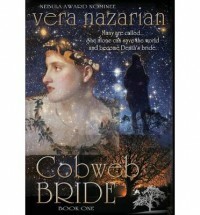 Cobweb Bride is an enthralling story reminiscent of a dark fairytale. Set in 17th century Europe, Death has provided the world with an ultimatum: until his Cobweb Bride is found, no one will die. This promise of eternal life sounds appealing at first, but Death’s proclamation is not without its share of horror — soldiers mutilated on the battlefield bleed out yet do not die; animals prepared for slaughter who won’t be slain; people waiting on their deathbed to take their last breath, which just won’t come. Across the land, inhabitants are trapped in this perverse imitation of “life,” and while many wish to restore the balance between life and death, there are others who are determined to remain in the realm of the living regardless of the cost. The first third of the story is very slow paced, allowing for the development of multiple main characters and their associated story lines: Percy, the unappreciated daughter who embarks on a quest to become the Cobweb Bride, finding herself and her purpose along the way; the murdered princess who truly becomes alive after her death; and the dead duke’s son whose loyalty is tested when he is charged with capturing the aspiring Cobweb Brides. As these seemingly unrelated story lines intersect, the characters find themselves inextricably bound together by the same purpose: to return death to the world. Nazarian’s writing is evocative, and beautiful. The descriptions were so detailed and lush that I found myself hanging on to every word, as opposed to skimming through the paragraphs of description in favour of the action like I do with Lord of the Rings. When the writing isn’t creating stunningly vivid images in the reader’s mind, it raises excellent points about immortality, life, death and suffering. Overall, Cobweb Bride is a brilliant start to a new fantasy series. Nazarian’s vivid, lush writing makes for an enjoyable read, even in the slowest portions of the book. This review can also be found at The In-Between Place. I received a copy of this book from Netgalley in exchange for an honest review.